Setting goals is not a new concept, but setting meaningful goals might be more challenging. When setting a goal, it is important that the goal be meaningful and forces you to grow in the process. It should feel scary, but not cause you to panic. If a goal is too easy, it will be reached, but not much is really gained. If a goal is too big, you can end up discouraged or lose money or resources unnecessarily. There is a tool that helps create effective and attainable goals – The S.M.A.R.T. method. 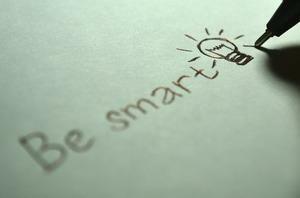 Yes, it’s the SMART goal setting that you’ve probably come across before. And it’s a pretty easy to understand and effective one. A = Attainable. A goal must be bigger than you expect possible, but not so big it is likely to fail. Example: I want to grow my email list by ten thousand people in three months.